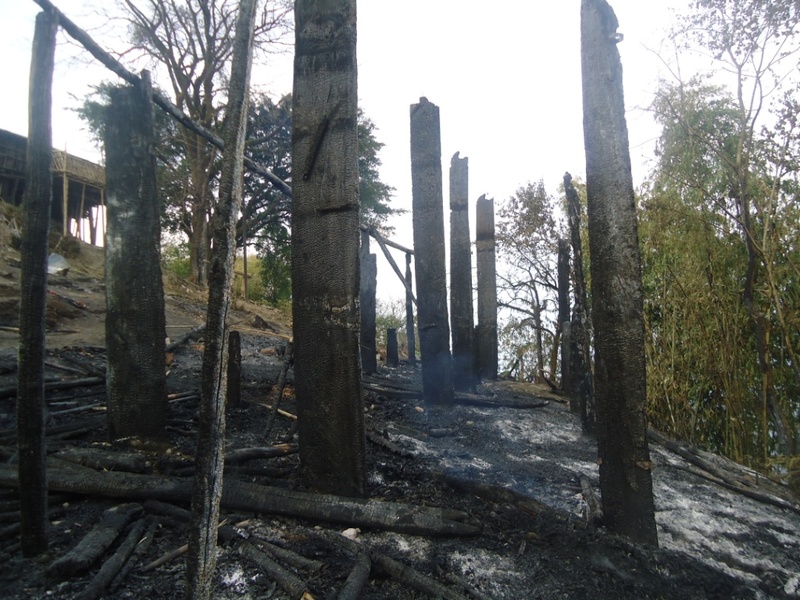 An accidental fire on the wee hours of 7th March 2015 reduced four houses to ashes in Lazu mission Station in Tirap District of Arunachal Pradesh. All the houses in the villages are made of bamboo with thatched roofs and all of them stand close to one another. The accidental fire reduced the houses to fire together with all the belongings of these families. Lazu is a small village in Tirap District, bordering Myanmar, with exclusive Olo tribal population. The area is one of the remotest centres of our Diocese, with nearest township Khonsa being 40 KMs away from it. The fire accident saw the paramilitary force stationed at Lazu plunged into action to douse the fire. Their timely intervention controlled the fire from spreading to other houses. The MoC Fathers and Sisters working in Lazu mission provided immediate relief to the affected families.